A few years ago, while working on a magazine article (never finished) about "designer eggs" (never found them), I interviewed a woman in our town who's both a licensed veterinarian and a holistic practitioner. I needed a chicken refresher course, and she invited me to her farm for a lesson in which-came-first. Of all the things she told me, the one I remember is this: you can tell what color an egg will be by checking the ear lobes of the chicken. White ear lobes, white eggs. Brown-ish ear lobes, brown eggs. Anyone who's lived in New England knows the famous advertising jingle: "Brown eggs are local eggs, and local eggs are fresh!" But if, as they say, you're not from here, you might not know that brown eggs are the norm in this part of the country, thanks primarily to our very own state bird, the Rhode Island Red — a brown hen, with brown ear lobes. Eggs have been called a "perfect" food. According to the Egg Nutrition Center, eggs contain almost every essential vitamin and mineral needed by humans except Vitamin C. Eggs have a biological value (efficacy with which protein is used for growth) of 93.7%, compared with 84.5% for milk, 76% for fish, and 74.3% for beef, and they are especially rich in the antioxidant lutein. Nutrition claims aside, for cooks eggs are a perfect food. Without them, we'd have no frittata, no and no soufflé. No brunch, come to think of it, without omelets, eggs Benedict, French toast. No egg salad sandwiches. No Spit in the Ocean (my dad's specialty). 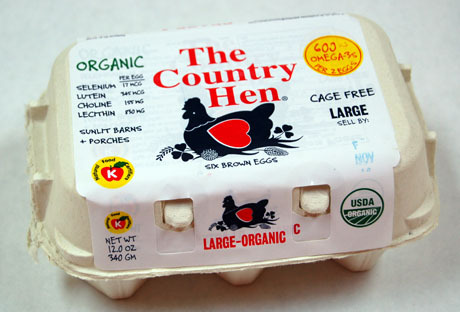 My favorite Country Hen eggs, from nearby Massachusetts, are laid by chickens fed an organic diet high in Omega-3. These chickens have a very happy life, housed in barns with natural sunlight, no cages, and porches. When you crack the eggs, the deep yellow yolks sit up straight and tall. Yes, they are twice the price of supermarket eggs that have been refrigerated for days or weeks and trucked in from who-knows-where, but I can see and taste the difference. And, they have a beautiful, irresistible, George Hamilton tan. Chayote, also known as mirliton, is a pale green, almost pear-shaped squash, with a dimple on the bottom. They're available in my local grocery store, and in markets serving Latino communities. Popular in the southern US and the Caribbean, chayote has a mild flavor and good texture. If this vegetable is new to you, try it in scrambled eggs. If you can't find it, you can substitute a firm zucchini or yellow (summer) squash. Serves 6. Bring 2 cups of water to the boil in a saucepan. Add the chayote, and boil uncovered for 30 minutes until the chayote is cooked through. Drain and set aside. In a large frying pan, heat the olive oil and sofrito, and stir in peppers and onion. Sauté, stirring often, 3-4 minutes over medium-high heat. Add the chayote, and cook 1 minute. Reduce heat to low. In a large bowl, beat the eggs and stir into the vegetable mixture. Stir constantly until the eggs are cooked, approximately 4-5 minutes. We had our own chickens and eggs for a couple of years and the fresh eggs were delicious. They were so fresh that it was hard to get the shells off hard-boiled eggs and they were sweet, golden yellow and rich. One of my sisters often asks if we are "going to do chickens" again anytime soon. I want to see a chicken with blue or green ear lobes! I know "Martha" has chickens that lay all kinds of Easter-like color eggs. Honestly though, I've found that the eggs touted as "organic" or "cage free" aren't as clean as commercial eggs. I don't think they're worth the price if I have to pick "stuff" out of the cracked egg. Tom, imagine my disappointment to learn that those lovely blue eggs don't come from blue chickens! I have to say that the organic eggs I buy from Country Hen are clean as can be, but I notice when I buy farm eggs from roadside stands that sometimes they have some chicken poop stuck on them, and I find that totally unappealing. All has to do with who sells the eggs, how they're stored, etc. Mary, I read somewhere that eggs that are a week old are easier to peel than absolutely fresh eggs. very fresh egss are hard to peel whn boiled. I find the eggs taste better than the ones in the markets. I find that 12 hens provide enough eggs for me and my 2 married daughters and some left over to give to co-workers. Poop on the eggs is due to some that is too lazy to clean them. I agree that fresh, cage free eggs are vastly superior. (And then I don't have to feel bad about the horrific condition that commercial chickens are usually kept in.) Even at twice the price of conventional eggs, they are still just about the cheapest protein source around. They are also fantastic for a quick dinner. Whenever I don't feel like cooking I break out the eggs. When I was in Lyon in France I had a fantastic salad of frisee with a mustard vinaigrette, lardons (which are similar to bacon), and tomatoes. On top of all of this was a poached egg. It opened my eyes to the ways that eggs can be used for dinner. 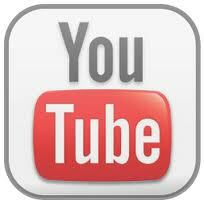 I love your site, there is so much great information here! Gimo and Amy, welcome to The Perfect Pantry. I agree, the French have the most amazing way with eggs! wow.. Even the chayote famous in my country but i never know this recipe.Thanks for the cooking suggestion! That sound delightful.